Eric is the web technologist for Designlab. He is the back-end developer and manager of the web services we offer. 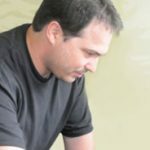 In 1999, Eric Brissette began his career in the technology field as a Quality Assurance program analyst for several different software companies, and has expanded his portfolio to include expertise in several development areas including jquery, php, html, css, and wordpress.